I build my VM’s with the VMware VMXNET3 NIC and the PVSCSI paravirtual SCSI driver to get the best performance possible from them. Unfortunately the standard 2012 R2 ISO image does not have these drivers installed. You can add a floppy drive and then point towards the driver but I like to keep my VM’s clean and remove all legacy hardware such as the floppy drive. Also you do this once instead of having to do the floppy drive method every time you build a VM. Let’s see how to inject the drivers so you can have full capability from the start. Lets get some requirements out the way. First of all you will need a copy of the drivers. It’s recommended to always use the latest versions that are part of VMware Tools. You can get them from https://vmware.com/go/tools (VMware login account required). From there download VMware Tools for Windows, 64-bit in-guest installer. We can now extract the tools to get the drivers. 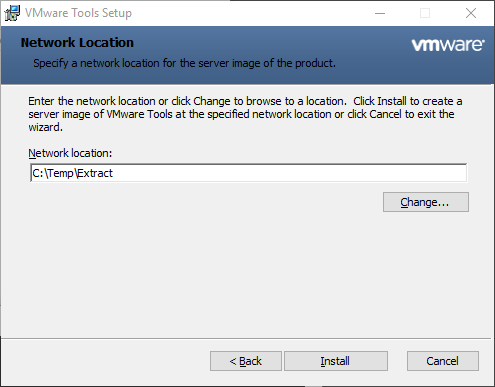 If you now browse to the folder you extracted into go to C:\Temp\Extract\VMware...VMware Tools...VMware...Drivers and you will see the folders pvscsi and vmxnet3 which have the drivers we want. 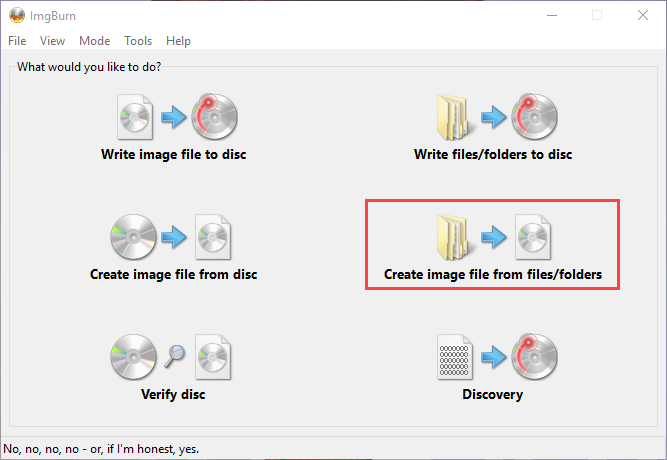 Under each of the folders there are two folder options, Vista and Win8. 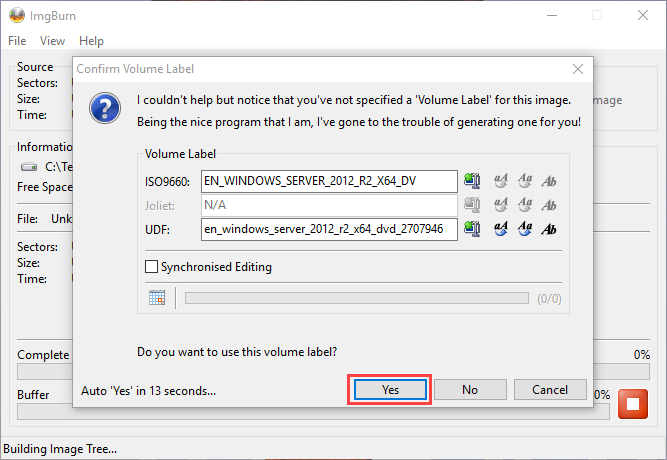 For a 2012 R2 server you want Win8 so delete the Vista folder from both vmxnet3 and pvscsi. It will be easier if you move the folders to a shorter path such as C:\Temp\Drivers. Next we need a Windows Server 2012 R2 iso file. Using something like 7-Zip and browse into the iso. Copy \sources\boot.wim and \sources\install.wim into C:\Temp. Found 4 driver package(s) to install. Installing 1 of 4 - C:\Temp\Drivers\pvscsi\Vista\pvscsi.inf: The driver package was successfully installed. Installing 2 of 4 - C:\Temp\Drivers\pvscsi\Win8\pvscsi.inf: The driver package was successfully installed. Installing 3 of 4 - C:\Temp\Drivers\vmxnet3\Vista\vmxnet3.inf: The driver package was successfully installed. Installing 4 of 4 - C:\Temp\Drivers\vmxnet3\Win8\vmxnet3.inf: The driver package was successfully installed. Description : This option (recommended) reduces management and servicing by installing only what is needed to run most server roles and applications. It does not include a GUI, but you can fully manage the server locally or remotely with Windows PowerShell or other tools. You can switch to a different installation option later. See "Windows Server Installation Options." 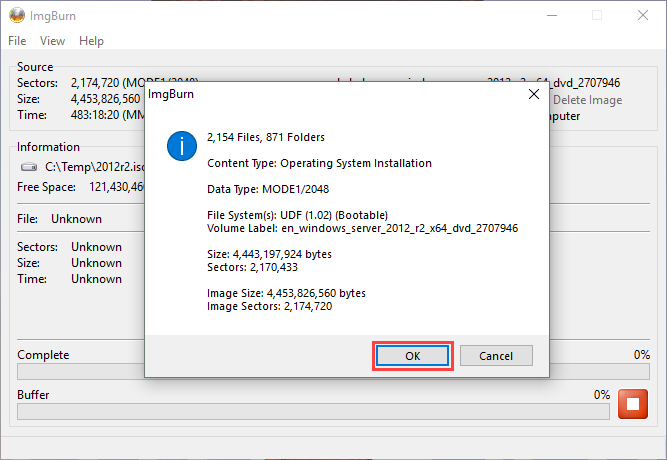 Description : This option is useful when a GUI is required—for example, to provide backward compatibility for an application that cannot be run on a Server Core installation. All server roles and features are supported. You can switch to a different installation option later. See "Windows Server Installation Options." Now that boot.wim and install.wim have been updated, copy those files back into the \sources folder. 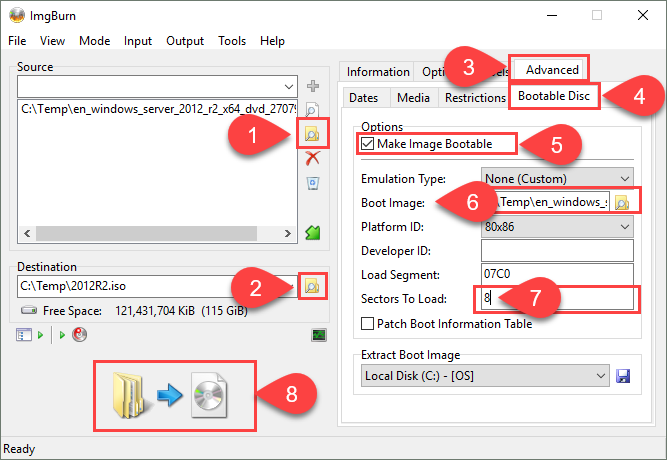 We now need to create the bootable ISO from the extracted ISO files. There are applications that can do this for you, but I will demonstrate using ImgBurn. The ISO is generated. 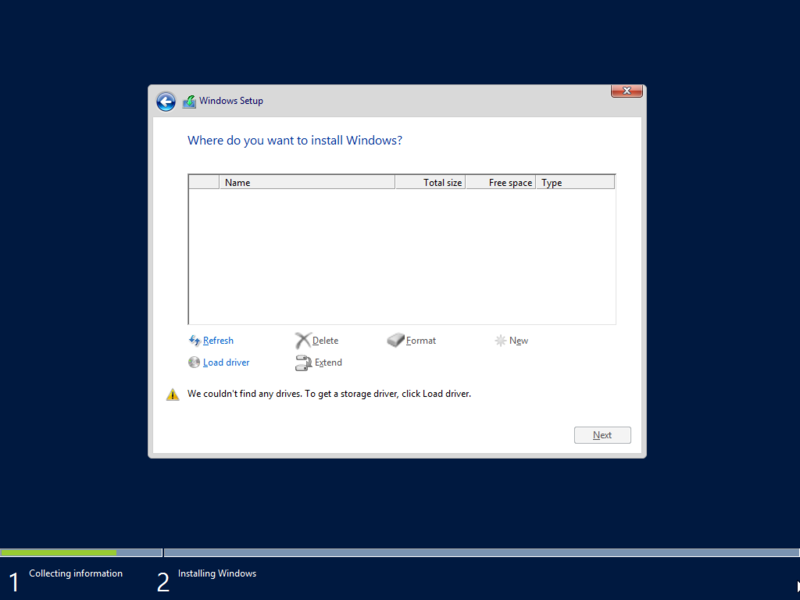 You can now use that to build your Windows Server 2012 R2 VM with the paravirtual drivers in place.